Back to school is here which means it’s time to show off all those new clothes right?!?! Yes, but sometimes being super cute and dressed up for class doesn’t happen. I personally always like to dress up for class. Putting really cute outfits together for school is what I live for lol. On days when I have 3 back to back tests, or don’t feel well I don’t get dressed up. 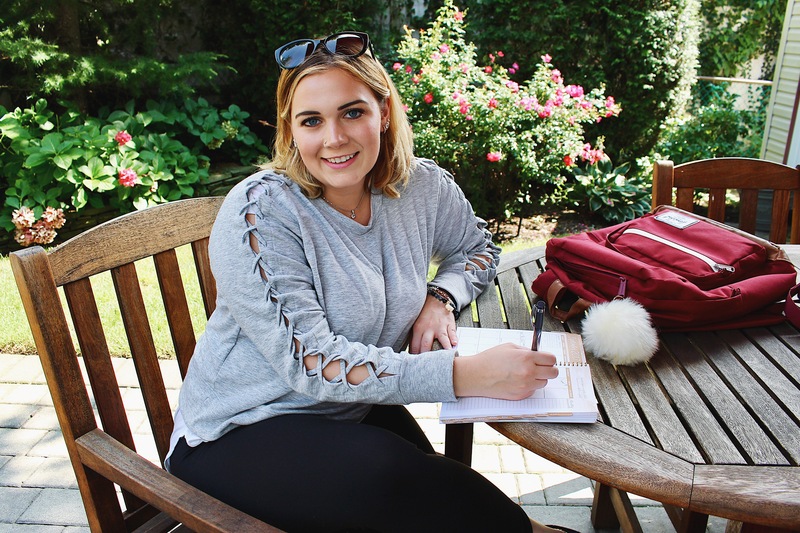 In this post, I’m going to show you what I wear to school when I want to be comfy but still cute! 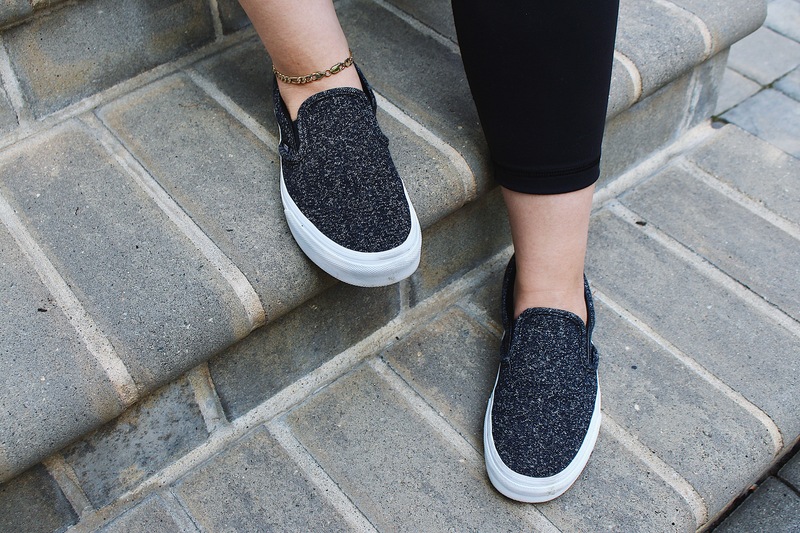 I hope this post gives you some inspiration on your comfy school look! 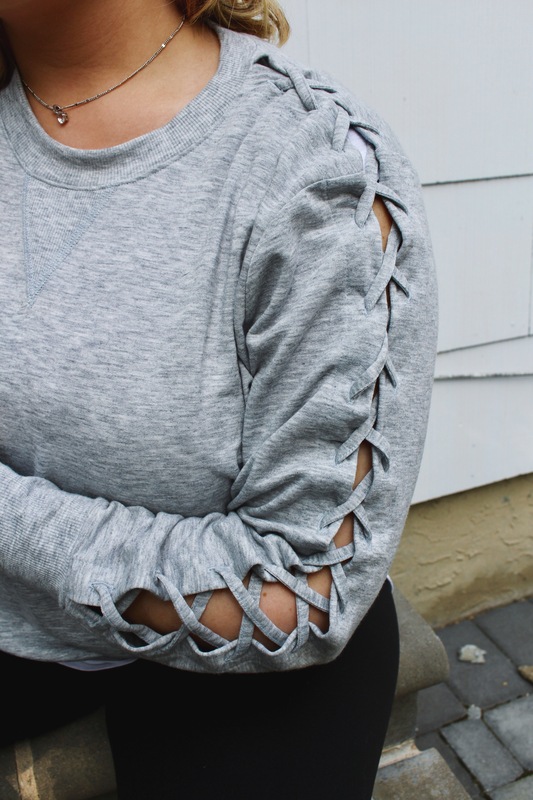 This look is super easy, effortless, comfy and cute. It’s actually one of my favorite looks! The best part is that you can dress it up too! Throw on some jeans, tuck in the sweatshirt, put some booties on and your ready for the night! The vans were apart of the Nordstrom Anniversary Sale and they are easily the best shoe purchase I have ever made. I wear them constantly. This VS Sweatshirt is like wearing pajamas. It’s super comfortable and lightweight which is perfect for school. It also comes in 4 other colors! 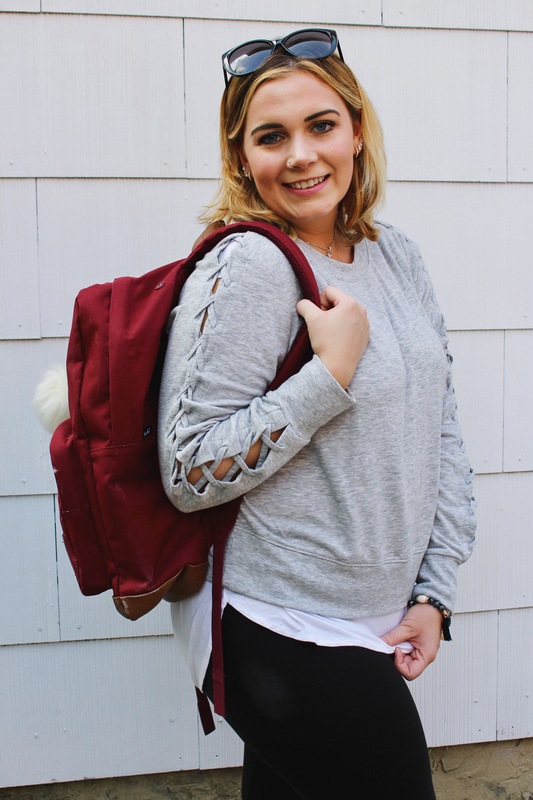 I hope you enjoyed this style post and got some inspiration for your comfy school look! I love the pics and the shoes… yes, girl! Also I love the look of your page! Nice job! Keep it up! Also- I would love to know how you make your pictures pin-able. ?? I have been trying to do this, but not sure how. Thank you so much!! The shoes are so comfortable! & it’s a widget, I’m selfhosted so I’m able to have it. With WordPress.com I’m not sure if you’re able to use it. But it’s a widget!